I have been an addict for over half my life. I'm on my fourth marriage. Been married for 17 years. I've tried to get clean, but it's really hard when I have no positive support. I get verbally and sometimes physically abused and told I don't love or care about my kids or my wife. I've given my life for them and make damn sure they never do without. I've always took care of all the bills wants and needs for my family. Very sorry you're feeling so desperate! We all need positive support in our lives to get through the difficult situations that we experience. It sounds like you don't have enough positive support and you have way too much negativity in your life currently. Please consider trying to find good counseling support in your area. Often churches have men who can act as mentors and walk beside you during this extremely difficult and heart-breaking time. 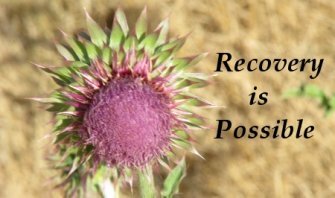 Please consider joining a Celebrate Recovery (CR) group in your area. Celebrate Recovery is a support group that will walk along side you and help you navigate the difficult choices you need to make. Often churches that have CR also have a counseling or mentoring programs to help you to increase the positive support you're receiving. Thoughts of suicide are often a significant indicator that you're not receiving enough emotional and psychological support. Friday 6:00-10:00pm, Dinner, Large Group, Small Groups, Cafe Recovery, Childcare 6wks-3yrs;Celebration Station K-5th grade; The Landing 6th-12th grade. All on Friday night during CR. Please find a couple of these churches and start going to CR, hopefully you'll begin to feel better once you connect with others who have been where you're at right now. God is with you and wants to help you to get the support you need!